Minimalism doesn't have to mean boring - you can still incorporate fun colors and striking designs into your space. The Unit 1 floor plan by McMillin in La Jolla, CA. 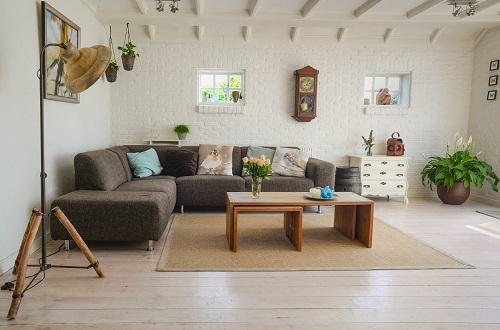 If you are looking to get rid of clutter and start over in your new home, then you should consider the minimalist lifestyle. 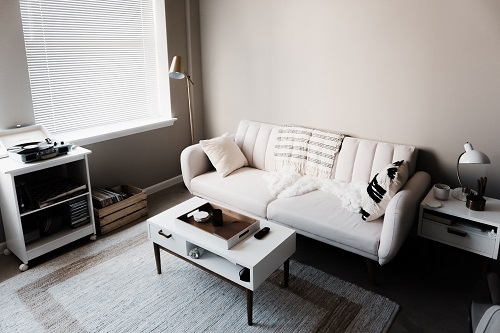 You can implement this lifestyle in your new home in many ways, even if you don’t consider yourself a full-fledged “minimalist.” You can still simplify your living arrangements, and no, it doesn’t require living in a room with bare white walls and sleeping on an air mattress. Minimalism is the idea of living happily with less and eliminating the unnecessary. 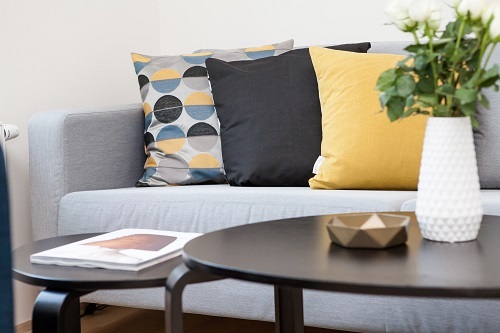 If you believe your material items no longer bring you a sense of happiness and you’d like to make a better impact on the world and the environment by reducing your carbon footprint, it may be time to start taking steps toward minimalism. Here are some tips to implement a minimalist lifestyle. Finding an eco-friendly, green builder is an essential first step in making sure your home is built using as few materials as possible. This means using materials that are renewable, such as sustainable wood for framing, and are environmentally friendly, like using paints that are low in volatile organic compounds (VOCs), and uses locally produced materials. Additionally, find a builder that can implement smart technology in your home, which will help you save money on your energy bill. Make sure your builder has a green designation, such as the National Association of Home Builders’ Certified Green Professional or the U.S. Green Building Council’s LEED AP credential. Upgrading your home with smart technology can not only save you time but is also great for the environment. A smart thermostat that shuts off the AC when you leave the house and lights that turns off when you leave a room are great energy-saving methods. You can learn more about how to build a smart home and the latest must-have smart kitchen appliances to bring this efficient tech into your home. One criticism with the minimalism movement is the trend of keeping walls bare and white. (Just do a YouTube search on minimalism and you’ll see people with empty homes and plain walls.) You can certainly paint your walls with the minimalist palette of grays, whites, and beiges, but this is far from the way it has to be. If you want to bring more energy into your room, paint your walls a bold, bright color like blue or red. Even painting one wall can make the entire room pop. This isn’t exclusive to walls. A bold carpet or a big painting will do the trick. Minimalism is anything but dull and boring if you choose to make it that way. Minimalism is all about natural lighting. 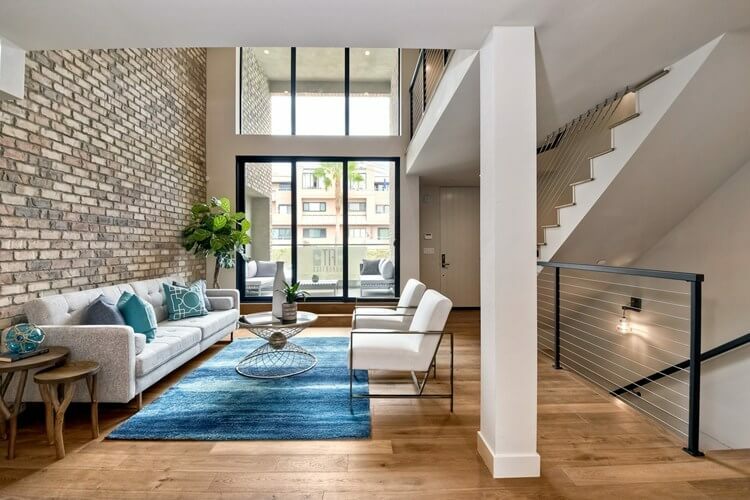 By building high ceilings in your new home, you can add tall windows to introduce plenty of natural light. The fewer light fixtures you have to put into your home, the better. Not only will your home feel fresher because of the natural light, but you will also save money on your energy bill. A key component of a minimalist lifestyle is the freedom from the weight of the extra, unnecessary items you own. This means being connected to the things you truly care about and getting rid of the rest. Now, we aren’t telling you to get rid of everything, but try and narrow down to the items that have significant meaning. Get rid of clothes you never wear, items you never use, and keep the things you feel drawn to. This will mean less clutter and, ultimately, less stress. Whether it’s things you currently own or you want to start fresh, look for items that give off a calm, cool vibe. Earthy tones connect you to the natural world, so consider wooden tables. Introduce the outdoors inside with some succulents and other plants. Don’t have a green thumb? There are plenty of fake plants out there that will feel just as good as the real thing. Minimalism doesn’t happen overnight. Many who take this route say it takes years to fully let go of senseless clutter and finally relieve themselves of things they no longer care about. A new home is a great new start, so why not take this opportunity to try and live this way?